Lindsay and Danielle are both veterans in Our Village, and this year, they're in Body Back together (different sessions, but at the same time). They came up with the idea of swapping healthy, plan-approved meals to make cooking and eating right easier during their Body Back transformations. I've always liked the idea of "cook once, eat twice," and would often double recipes to freeze half. When BB started and I was thinking about all the new recipes I wanted to try, I had the idea to swap the second serving of my double batch with Danielle. This way we are cooking two meals and ending up with four. I love the variety of meals it brings to my house. Plus it gives me a reason to see the Wests every week. It has also given Danielle and I new shared interest. We've always talked about cooking healthily for our families, but this really took that to a new level. We are longtime friends who wanted to support each other. We considered joining the same Body Back group, but decided it didn't make sense since we live in different towns. Lindsey had the idea to double our recipes so we only have to make two a week. I like it because it keeps me accountable- I don't want to let her family down by not cooking. We also get to try a lot of recipes this way and figure out which ones we enjoy with our families. And it's an excuse to get together! For this one, they got their families together and cooked a double batch of Body Back spinach meatballs. 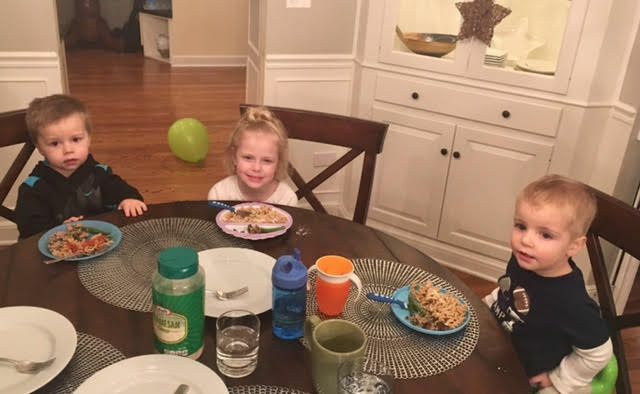 Their kids enjoyed that with whole grain pasta. 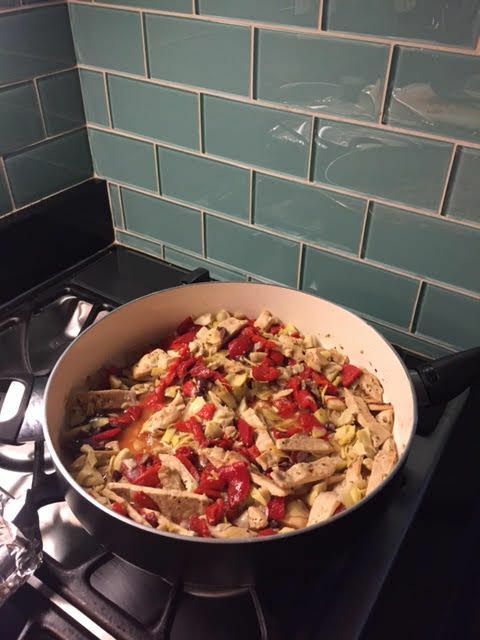 For this one, here is a double batch of Mediterranean chicken pasta cooked by Danielle. And here are some photos from Lindsay during a recent meal swap. 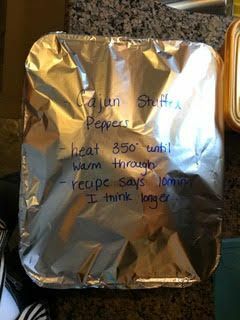 She says that when they can, they write simple directions on the meal to make reheating as easy as possible. She cooks two meals one day, and with the two meals she gets from Danielle, she has dinner covered Monday through Friday. That means no cooking after work! We think that this story is just awesome. Thanks for sharing, ladies. And if you'd like to try it with one of your fellow mamas (in Body Back or not), feel free to steal the idea! Want these recipes? Get more info about our next 8 week sessions of Body Back Transformation here.